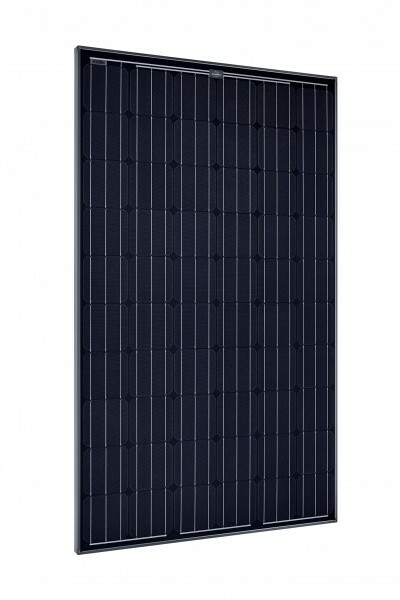 CTI stocks a wide range of off-grid solar products, from leading manufacturers such as Solarworld, Voltronics and Schneider. Our manufacturer direct relationships help us keep up with the technical innovations in the solar industry, and ensure our clients get the best quality and value for the solutions they need. The Off-Grid Solar Systems shown below are just a few examples of system choices. Typically a solar system is custom designed by a solar professional to match the customers needs. Factors that are considered are total electrical consumption, location, exposure and budget. An off-grid system has several different features as well. This type of solar electric system is not connected to the electrical grid. Instead, it relies on batteries to store the electricity generated by the solar panels for use when the system is not generating enough to sustain household functions, for example, at night. Because it is completely separate from the electrical grid, the power will remain on for the household or building even in the event of a widespread power outage; in a grid-tied scenario, the solar power system must shut off during a power outage for safety reasons. However, it is important to consider the space required to store the batteries, as well the added expense to purchase them. When choosing a solar power system, it is important to decide which benefits are the most important to you. If going off the grid, and want to remain powered on even when the rest of the neighborhood is enduring a power outage, an off-grid system may be the right solution for you. Otherwise, a hybrid solar system may be the best choice because Off Grid system is more expensive due to addition of batteries and some times generator. A qualified solar analyst will be able to discuss your particular needs, and find a solution that is tailored for your home. If you need assistance, contract us now.